When I was a little girl, I remember learning a song about friendship that has stuck with me since. It's a tune you've probably heard too. They lyrics are, "Make new friends but keep the old, one is silver and the other's gold." As I watch the franchise world courting shiny new marketing channels like social media and QR codes, I can't help but hear that song. Yes, it is certainly important to learn about and incorporate the newest channels into your marketing mix. But as the song hints, this doesn't mean you should abandon your "old" marketing media. Traditional marketing media are old, but the results they can generate are still gold. You just have to keep a fresh approach to using them. Here are three tips to mine the ROI (gold) from your old marketing media. 1) Treat each marketing contact with a customer as though it were your last. Ask yourself... "If I knew this was my last chance to reach this customer, would I do anything different?" Would you use that same offer they've seen - and turned down - 30 times before, or create something unexpected? Instead of saving $1 on an ice cream cone, how about trying something unexpected like, "Get your picture taken with the cows that help make our famous ice cream!" You could make it a fun event with a petting zoo or cow mascots and post the photos on your social media sites. If you run an auto service business, you could continue giving customers that standard 10 percent off. But, if you really wanted to make an impression, it's going to take something more. Maybe you could try teaming up with a local masseuse to provide the most stress-free oil change in town: "Get a free chair massage while you wait!" 2) Use the marketing medium in an unexpected way. One of the best ways to make an older marketing medium new again is by simply breaking the rules. For example, if you're a day care franchise that's been running a postcard campaign the past 6 months with only mild success, why not try taking that budget and testing something unusual? Send a blanket to new moms letting them know that when they need quality child care, your business is a "security blanket" for them. Or, if you're running a billboard about the opening of a new hamburger restaurant, show a giant, branded hamburger box on the top of the billboard with just two words in giant print on the board: "Opening Soon." 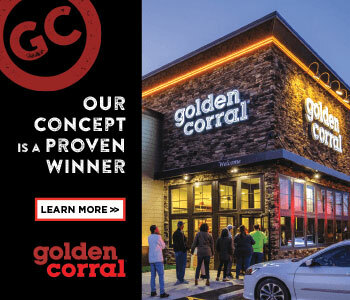 The day the restaurant opens, change the billboard: open the box to show a giant burger inside, and reveal the company's logo and location on the board itself. 3) Take a calculated risk. No marketing medium, new or old, can guarantee results. That fact alone has been the death of many new ideas for old media. No matter how great your marketing strategy may be, companies often decide they just can't afford the risk. Before you make a similar decision, it's a good idea to double-check the numbers in your risk calculation... just to make sure. Here's how to do it. Let's assume your average direct mail campaign nets an average return of $3 for every $1 spent. Decide how low you can allow that first number (average return) to fall. For example, let's say you could afford to let that number slide as low as $1.50 return for every $1 spent, half your typical result. That's great news! It means you could use half of your budget to run your typical campaign while allocating the other half to testing that new approach. Then, even if the worst happens and the test of the new strategy is a complete bust, you're still hitting the numbers you need. Alternatively, you could have a new -- and now proven -- direct mail approach generating even more ROI for you than your old approach ever did. Whatever you decide to do, the bottom line is this: If you've been taking those old marketing media for granted, maybe it's time to see then anew. You may just wind up striking marketing gold. Melinda Caughill is Partner, Strategic Marketing at Third Person, Inc., a marketing, advertising, and web design company based in Milwaukee. Contact her at melinda@third-person.net or 414-221-9810 x302.